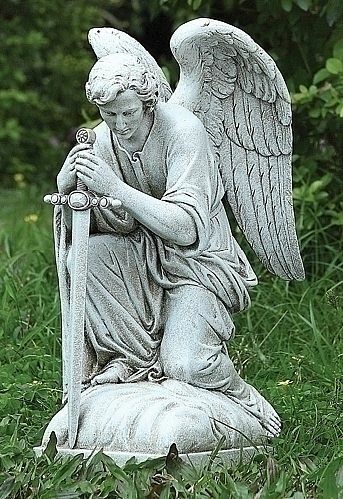 Introduce the celestial to the garden with this finely crafted angel shown with a sword. The angel is seen in a kneeling position placing a sword before him. Resin and stone mix. Dimensions: 13"H x 8.5" x 6"